Nowadays it seems everyone is getting spiritual. Meditation and mindfulness in particular are booming, with courses and classes available all over every city. We tend to think of meditation as a silent practice, but there is one meditation method which is anything but silent. Mantras are repeated phrases, chanted or sung as part of various religions to induce a feeling of connection with the divine. The person chanting a mantra isn’t thinking about anything; the chanting stops the flow of thoughts and allows them to find a beautiful , calm place inside and a feeling of ‘oneness’ with the universe. This approach has had a small but significant influence on rock and pop culture. In the late sixties, George Harrison became interested in Hinduism, and started to reflect it in his music with the Beatles and then in his solo work. 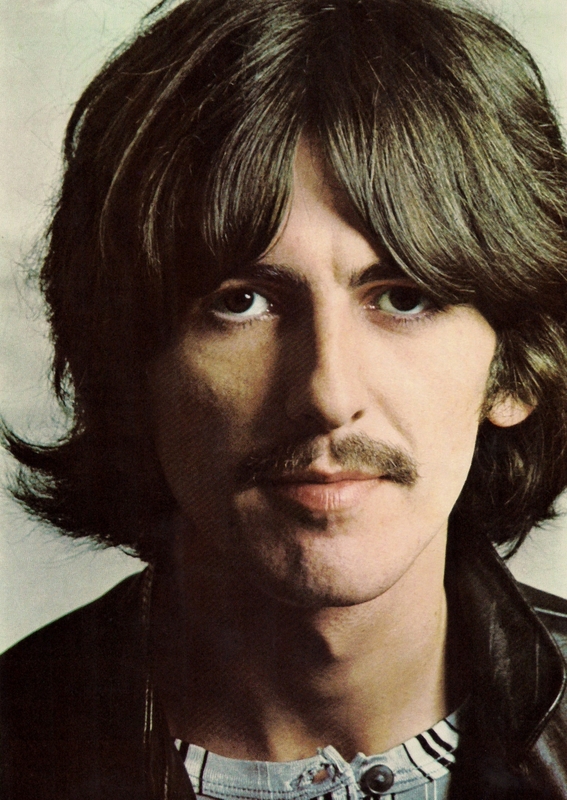 In “My Sweet Lord” from 1970, George celebrates the Hindu god Krishna. The song incorporates the ‘Hari Krishna’ mantra – the same one which can often be heard in British town centres, issuing from the lips of orange-clad devotees. The voice singing “Hare Krishna, Hare Rama” etc. on the choruses is in fact John Lennon – the two recent ex-Beatles were clearly getting on fine at the time. It is not necessary to know the meaning of a mantra. There is something calming and soothing about a repeated vocal pattern which humans seem to respond to, whether in the context of different religions (think Gregorian chant for instance) or even the repeating songs that mothers sing to their babies to calm them. Lyrics describing a gruelling journey into the desert, combined with a hypnotic bongo beat would already be a mystical mix, but the wordless “la, la, la, la, la, la…” chorus produces a distinctly mantra-like effect. A mystical-sounding solo track from 1974. Apparently the line “Ah babakowa pousse, pousee” came to Lennon in a dream. It’s meaningless but has the unmistakable influence of mantra. This simple, repetitive tune repeats over and over and sounds like a hymn of gratitude. Tjinder Singh’s band combine indie pop/rock with influences from their Indian background . I don’t know what the lyrics of this tune are, but with the vocal repetition and instrumentation we’re clearly in mantra territory.